Certified to building code standards, our fire & solid doors have varying finishes that provide a professional look while maintaining functionality for your home or business. 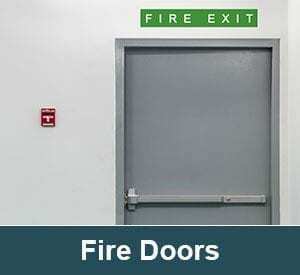 If you own a commercial business or live in an area of Australia that is prone to fires, you know how important having fire & solid doors can be for the safety of your home or business. Whether you have sensitive documents or work with important equipment, the proper fire & solid doors will keep your property secure. At Spartan Doors, we have fire & solid doors that will ensure the safety and security of your home or business, and you will find our quick turnaround makes us an easy choice. Our fire & solid doors are multi-purpose doors that are ideal for internal and external use in industrial, commercial and residential applications where fire protection is required. 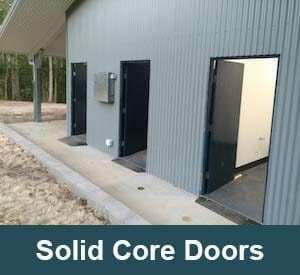 These are access doors with a fire-resistant vermiculite core, finished with timber sheets and internal edge strips. Certified to building code standards, our fire & solid doors have varying finishes that provide a professional look while maintaining functionality, durability and security. 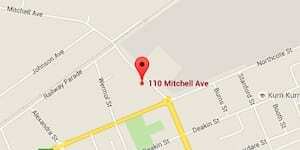 A large range of hardware options is available, and we can fit the doors upon request. The framing selections for your fire & solid doors depend on whether you need single or double width and which way you would like the door to swing open. Perfect for warehouses, basement offices, schools, maintenance facilities, hospitals, residential units, and shopping centres, we are confident our fire & solid doors will protect your property in any setting. The standard finish for our fire & solid doors is ply sheet, but you may choose a different finish according to your needs, including MDF, Duracote and veneer. Metal sheets with thicknesses up to 1.5mm can also be used to increase durability and security. If you feel your home or business would benefit from fire & solid doors, contact us at Spartan Doors today to learn more. We offer a quick turnaround and are confident your new doors will give you peace of mind. Our fire rated doors are access doors with a fire resistant vermiculite core, finished with timber sheets and external hardwood edge strips. Our solid core doors are access doors with a timber core, finished with timber sheets and internal or external grade edge strips. Our Life Safety Doors have smoke leakage certification that complies with AS1905.1 & tested in accordance with AS 1530.4-2005 & AS1530.7-2007. Our BAL Rated Doors comply with bushfire regulations across Australia. Here at Spartan Doors, we provide the highest quality fire & solid doors to help increase security at your home, office, or warehouse in Newcastle, Sydney, Melbourne, and Brisbane, Australia.